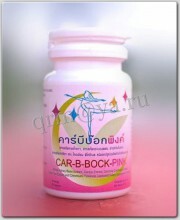 CAR-B-BOCK-PINK is a dietary supplement product. It is good for slimming and whitening skin. CAR-B-BOCK-PINK reduces weight up to 4 kg per week! It accelerates the process to burn excess fat by neutralizing fat carbohydrates (starch), it can help your body to maintain a balance. How to use: take 1 capsule before meal one time per day. 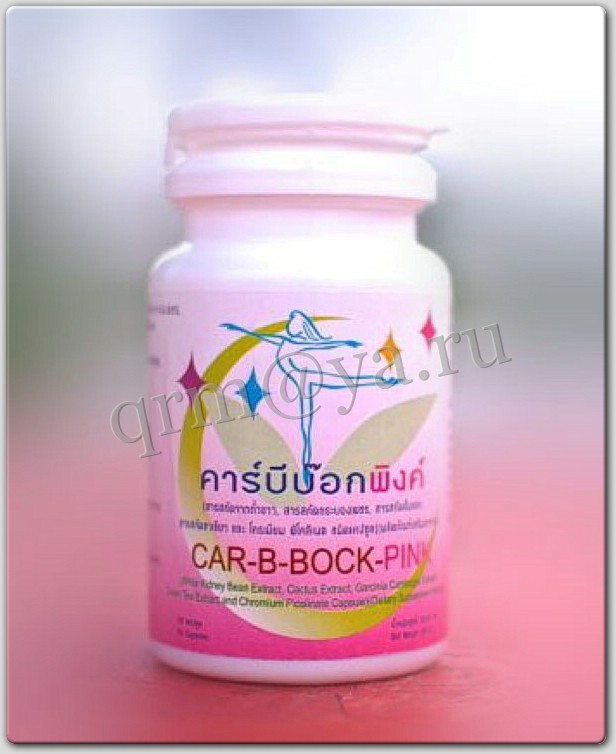 CAR-B-BOCK-PINK has been approved by FDA in Thailand. Click the button below to add the CAR-B-BOCK-PINK slimming capsules to your wish list.